We're a mobile phone company with a fresh take. We love giving you the kind of service that you deserve. We came to Canada to shake things up and give Canadians better, simpler mobile service. Here we go again! Choice is good. Prepaid - You Call the shots! No Commitment, No Contract, No Funny Business! MyPlan - Monthly packages - You call the shots with plans designed with you in mind! 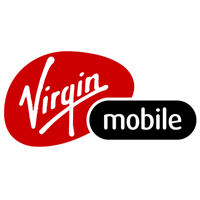 It's good to be a member, get the best deals today Virgin Mobile in Kitchener's CF Fairview Park.